David Braben set up a Kickstarter campaign to make the game he 's always wanted to play. Taking inspiration from the rash of videogaming crowdfunding begun by Tim Schafer, and the recent opening of a native Kickstarter website in the UK, prominent UK developer David Braben began a campaign last night to raise money to produce a true sequel to one of the most beloved and inspirational videogames ever created. The project is called Elite: Dangerous and the drive's goal is a modest 1.25 million pounds, and in less than 24 hours Elite: Dangerous has already raised Â£193,850 from more than 4,000 backers. The space combat and trade simulation Elite was a lot of the gaming industry's "firsts". In the era of chasing high scores and extra lives of the 1980s, Elite was the first truly open world where you could pursue riches however you wanted, be it bounty-hunting, piracy or trade. David Braben wrote the code for Elite along with Ian Bell so it used 22k of memory, but despite those restrictions Braben claims it was the first true 3D videogame. The 1994 follow-up Frontier updated the gameplay and procedural galaxy-building but Braben admits the ship combat was supplanted by other games like X-Wing and Wing Commander. Braben formed a relatively large studio in the UK that's been making games like Kinectimals and RollerCoaster Tycoon 3 but he's always wanted to update Elite. "Imagine what is now possible, squeezing the last drop of performance from modern computers in the way Elite and Frontier did in their days," Braben wrote on the campaign's description page. "It is not just a question of raw performance, but we can push the way the networking works too." Braben's concept neatly bridges the gap between MMO, multiplayer and single-player. In Elite: Dangerous, you'll be able to take your spaceship and explore, trade and fight throughout a huge galaxy, but you'll also meet other players' from time to time. Do you fight them? Or let them go on their way? Through the network connectivity that's already been worked out, you'll be able to open or restrict your game to as many people you want. "You will be able to control who else you might encounter in your game - perhaps limit it to just your friends," Braben said. "Cooperate on adventures or chase your friends down to get that booty. The game will work in a seamless, lobby-less way, with the ability to rendezvous with friends as you choose." Perhaps the most refreshing part of Braben's appeal to raise funds for this kind of game is an honest appraisal of the risk involved in Kickstarting anything. "All projects, whether building a bridge, making a film, studying for an exam or whatever, carry risk," Braben said. "Projects can run out of time or money, people can leave, assumptions that were made at the start may prove to be mistaken, or the results may simply not be as good as expected. Games development is no different. "Right at the start, Ian and I took that risk when making the first Elite amidst cries that it needed three lives and a score - but we took the risk that others wanted [the game] we wanted - and the result was a great success. 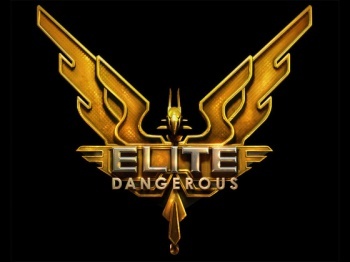 If Elite: Dangerous is something you also want, then let's all take that risk together." For years, those of us who fondly remember the days when space combat sims were a common sight on game store shelves have been lamenting the lack of high-profile releases in the genre. There's been whispers of a comeback from indie releases on Steam like SOL: Exodus to the Star Citizen Kickstarter, but now the grandfather of the space combat simulation has climbed into the pilot seat. It's a good time to be a fan of flying through space. You know, with the Star Wars franchise renewed and Lucasfilm in Disney's hands, we might even see a Tie Fighter remake. Please?